Please find attached this weeks Torah Pearl which has been written by my dear brother Grant - Co-founder of Arrows of Ephrayim. I pray it will bless, encourage and challenge you as it did me when I read it. Hanukkah celebrations have finished, which after this time our homes can seem a little darker, due to the the lights of Hanukkah being extinguished. However, the lights which shone in our homes, during this period, are a only a symbol, a representation of the light of Messiah, which shines from within us into the darkness of this world. Therefore, let us continue to shine the light of Messiah into our neighbourhoods as we seek to be salt and light, as we prepare for our Messiah's return. Within the secular calendar, tomorrow is New Years Eve which means Monday will be the first day of a New Year. As the world continues to reject the notion of God and of the existence of Jesus, we are reminded that our very calendar is centred around the life of Jesus, BC and AD. That the very life of our Messiah was so significant that it has changed how we record time and seasons to date. Yes, I know that Yah has given us His calendar and the church has rejected it, I am not referring to that, it is the very fact that Messiah's life changed how we record years. Just like when we come into a relationship with Messiah our life is transformed, or when Messiah returns our very life, the earth and our calendar will be transformed again, as Messiah will rule and reign from Zion and His law will go forth. That is something to celebrate, Messiah ruling and reigning from Zion. As we keep and celebrate this Shabbat, let us focus on the life Yah has given us and how we can be effective in fulfilling His will and the purpose He has for us. Let us seek Yah this day as we study His word, let us contemplate who YHVH is, as we seek Yah to move in the areas of our life we need Him to step in and bring restoration, healing and provision. Please note, the below links and news is given to keep people informed, AoE may not agree with every aspect of what is in the links, article etc. however, we feel it will assist in informing the Body and keeping them informed. Bath international schools Model UN 2017 agenda within this you will notice they discuss and debate the question of Palestine, thus inferring a predisposition of being anti Israel due to the name given. this is indoctrinating our children to accept the Palestinian narrative. Freemasons Worship LUCIFER?! The TRUTH Is Actually Stranger Than Fiction! WATCH THIS RIGHT NOW! 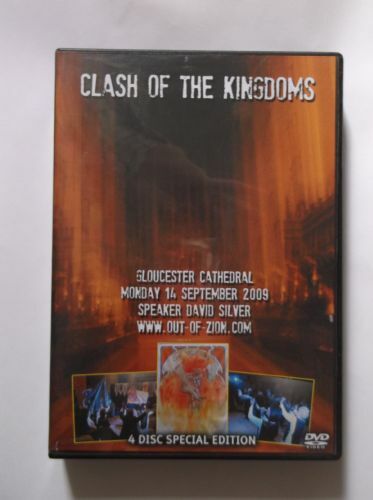 Pt 1 of 8:"ISRAEL KEY TO WELSH REVIVAL"
Pt 1of 17: "CLASH OF THE KINGDOMS"